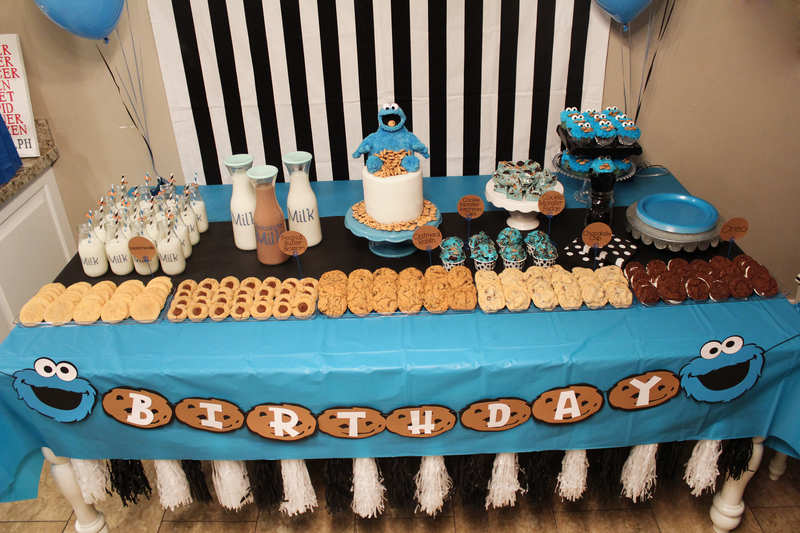 This birthday party for my baby boy, was so much fun to put together!! Using my Cricut Eplore Air 2 Machine, I was able to make custom decorations!! 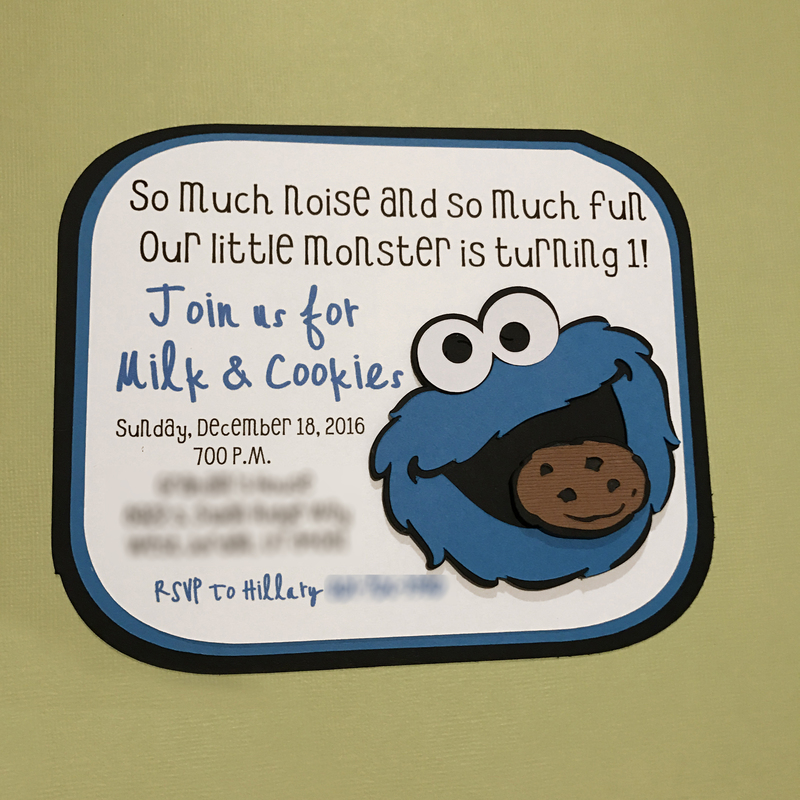 I went with a milk and cookies menu to go with our Cookie Monster theme. I will be sharing all the details, tips and tricks I found while putting this party together. 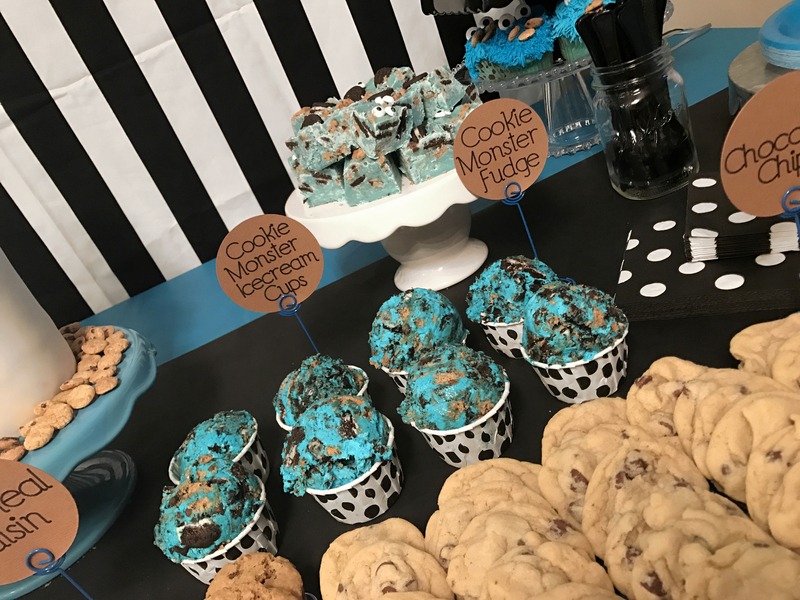 I have included all my favorite cookie recipes, the fudge, and the Cookie Monster ice cream that I used for the party too!! Lets start with the invites!! 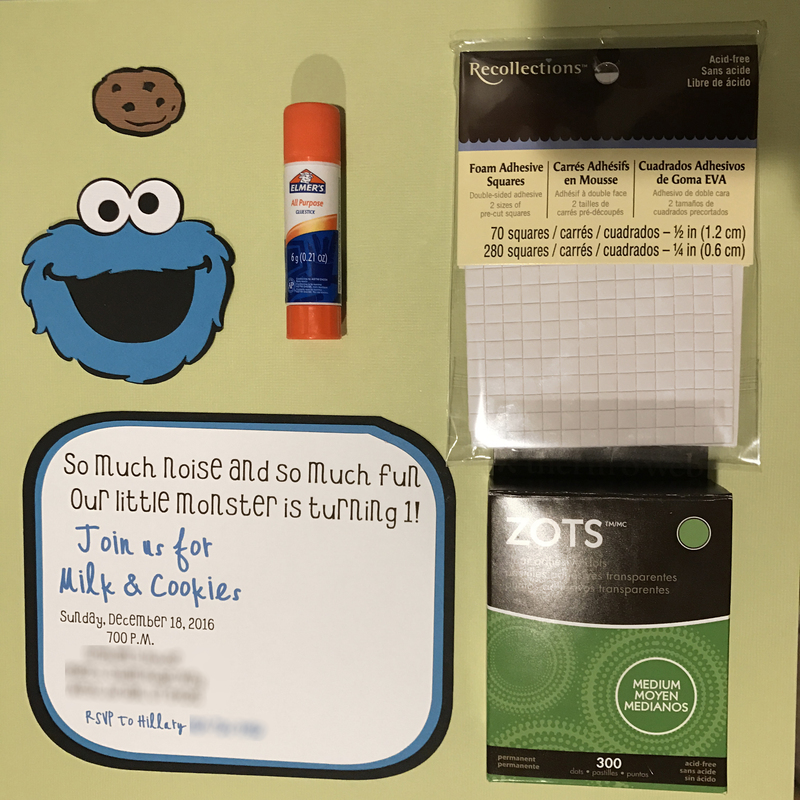 -Zots, Glue stick, Foam squares. So much noise and so much fun, our little monster is turning 1!! loved this cute little saying!! To start, open your Cricut Design Space. Search for card, and you can scroll down and find this flat card like this one. Adjust to the size you want you invite. duplicate this image 2 times and change the colors to black and blue. 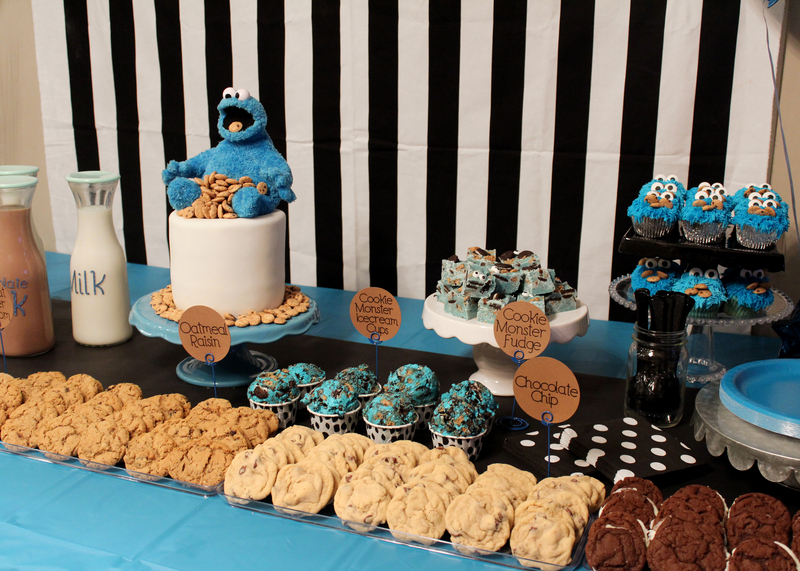 Click on insert image, and search for Cookie Monster. 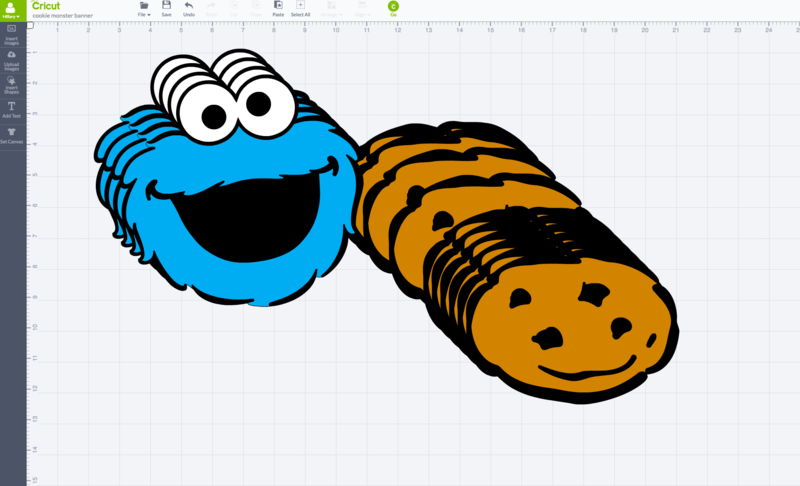 Find this image of just the head and the cookie and insert into canvas. Insert Text, each section was a separate set of words so i could adjust the size to what i needed. 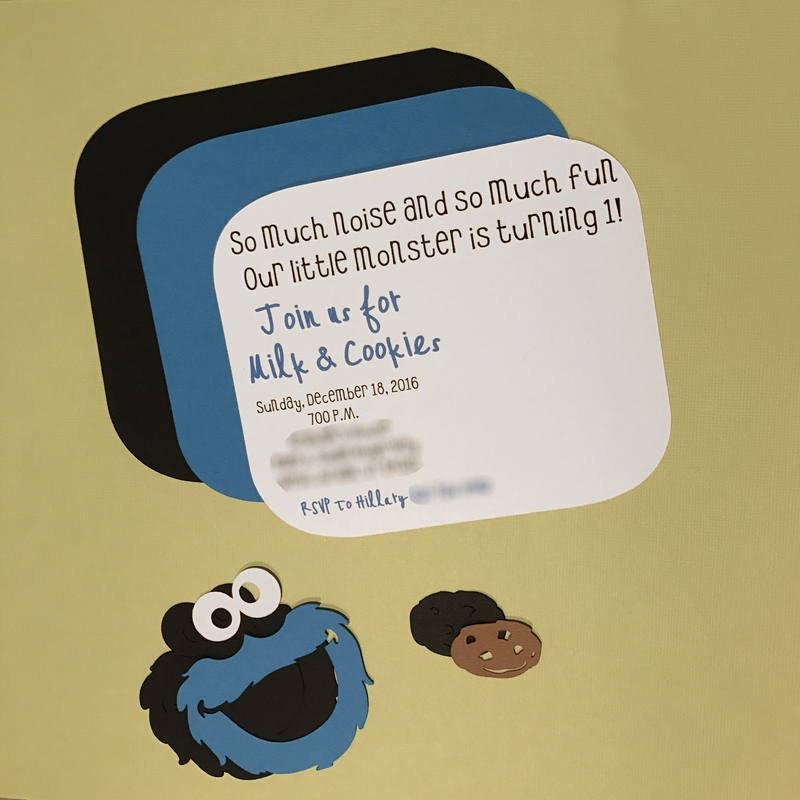 Adjust the Cookie Monster and cookie to the size you want. select all of your text and click the attach button on your top right menu box. 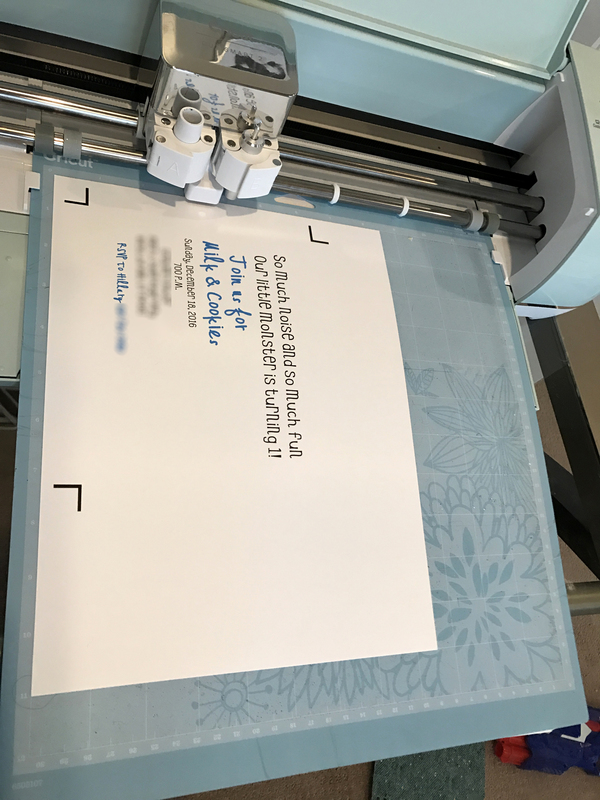 You will need to do this so that your Cricut will know which card the text it attached to so that it can cut out around it!! 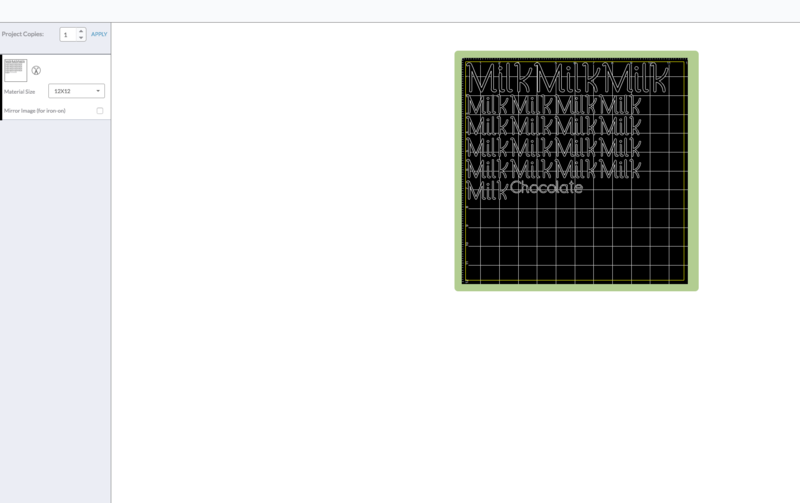 You will be doing a print then cut for this part. You will send this part through the printer then place that sheet on the mat to cutout the card. The printer will print lines to help the cricut know the placement. Design space will tell you when to do everything. now we are ready so click the GO button. Place the sheet that you printed on the cutting mat, like pictured. In design space and you will now be prompted to cut out the card. Follow the rest of the promptings by color and cut out all your pieces. Now to put it all together i used these other gluing items i glued the cookie together. 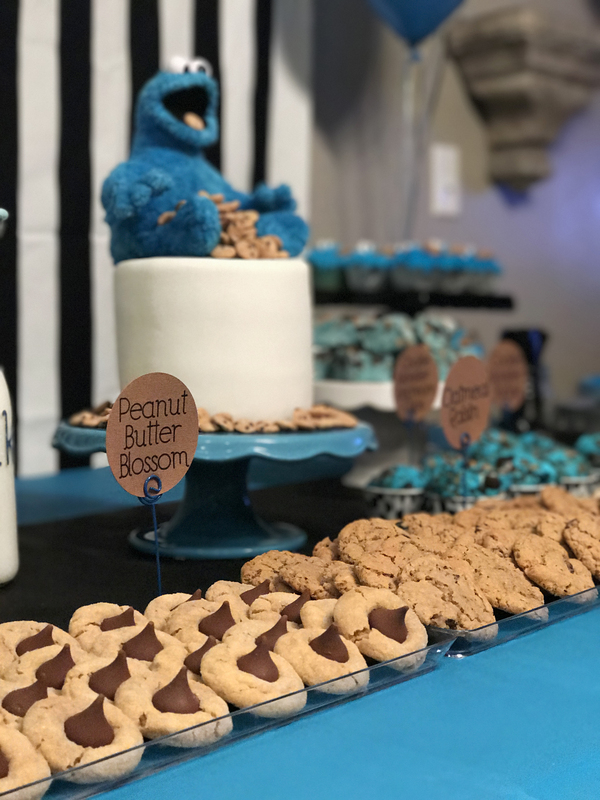 Use the zots to layer the cards and the cookie monster then use the foam squares to give dimension to the cookie monster and cookie. Look how cute!! I love them!! 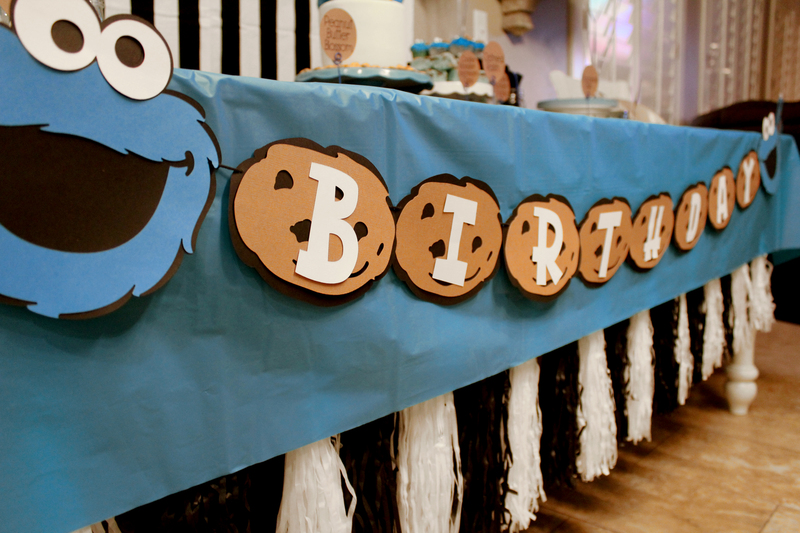 Lets make a happy birthday banner! 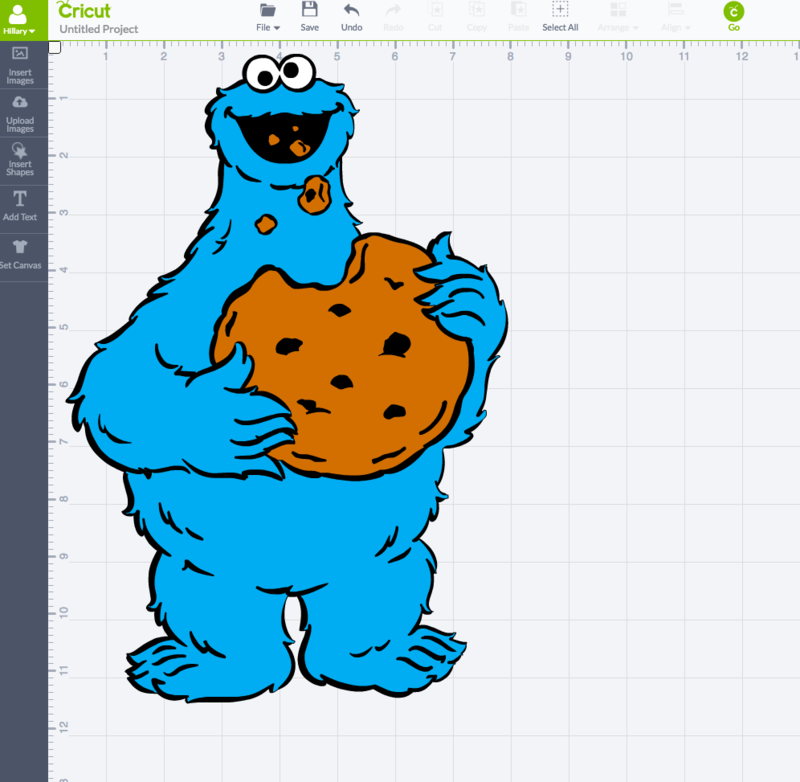 Open Design Space and search for Cookie Monster and for a cookie. Insert those images and adjust to the size you would like to make. 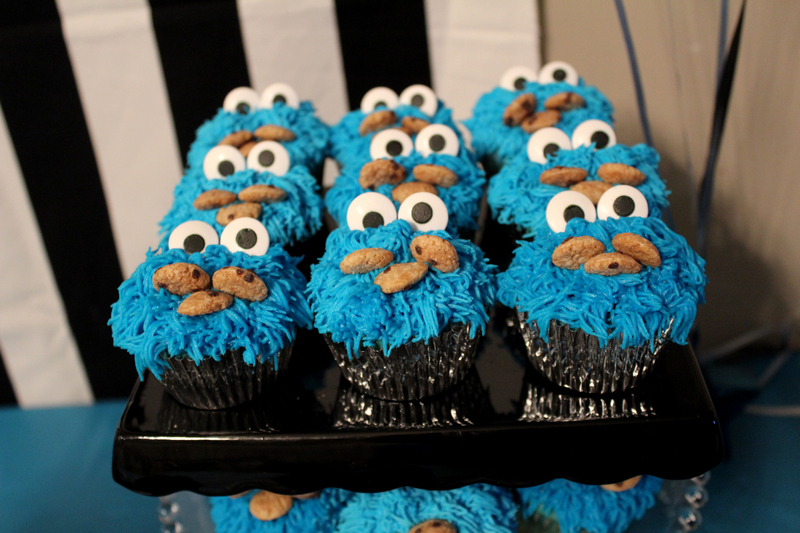 Duplicate the Cookie Monster 4 times and the cookie 13 times. Click GO and follow the prompts to change colors and cut all the images out. Use the Zots to attach the layers together. 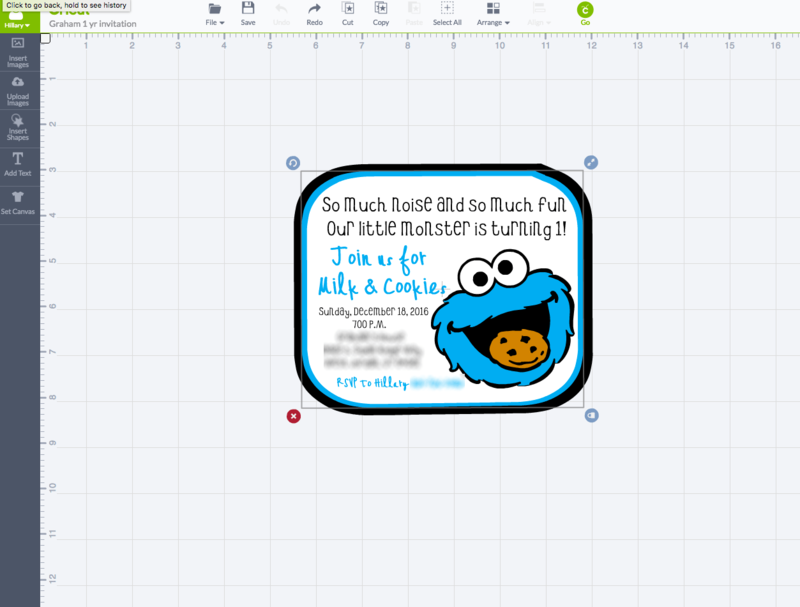 Create the Happy Birthday letters in your design space. Adjust them to the size to fit onto your cookies. I used the ZOO DAY font. 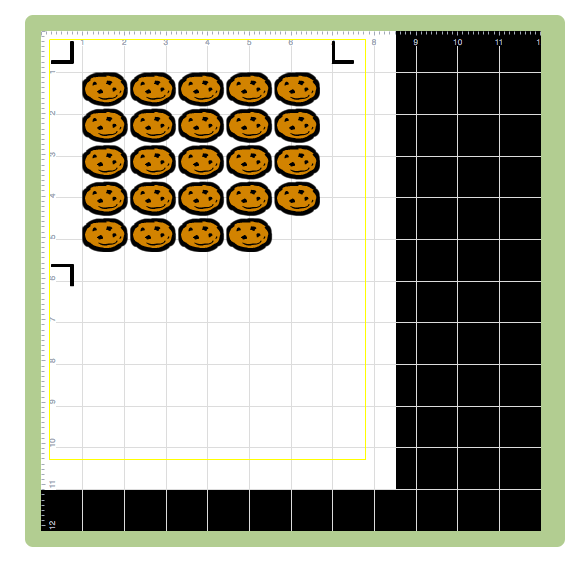 Use the Zots to also attach those letters to the cookies. 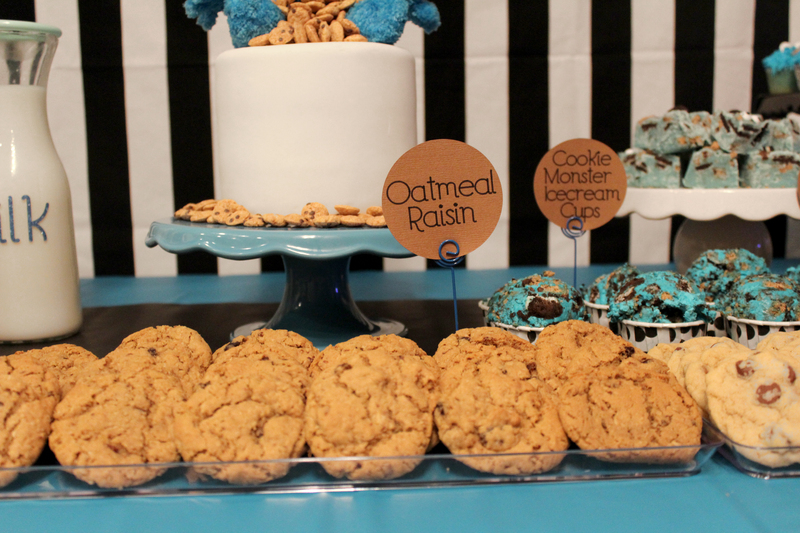 Take the hole punch and punch a hole on both sides of the cookie monsters and the cookies. Weave the string through, going behind the cookies, making sure you leave enough room on the outside to attach it to where ever you will be hanging it. Design Space. I used a circle. Add text and adjust the size and font to what you like. I used Rob & Bob- Seaside from the Circut Fonts. Once you have the letters on the circle, choose which pen you would like to use by clicking on that layer at the right and the window will pop up, choose WRITE and select which pen you are going to want to use. Now you will need to select both the font and the circle and attach them together by clicking attach at the top right on Design Space. Create all your labels and click GO. Follow the prompts and insert the pen into the Cricut and click GO. The machine will then write and cut out all your labels!! Its so amazing! You can have these cute labels that look handwritten. 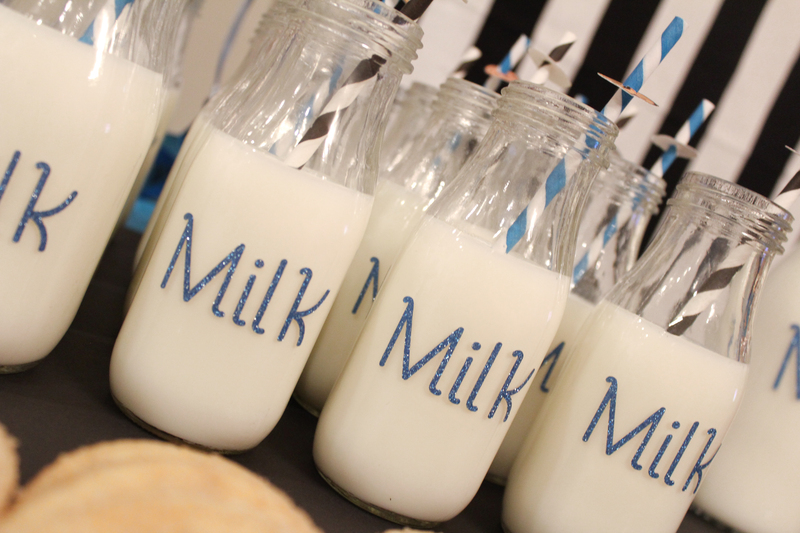 One of my favorite parts of this party was the milk bottles!! 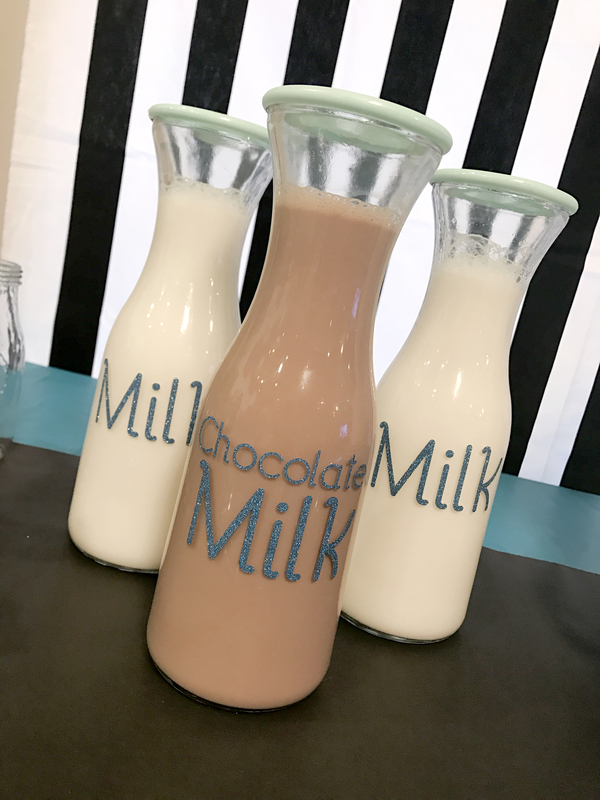 I made some custom vinyl lettering to add to all the bottles!! I used Cricut’s blue Glitter Vinyl. In Design Space, add text duplicate it for as many bottles that you have. 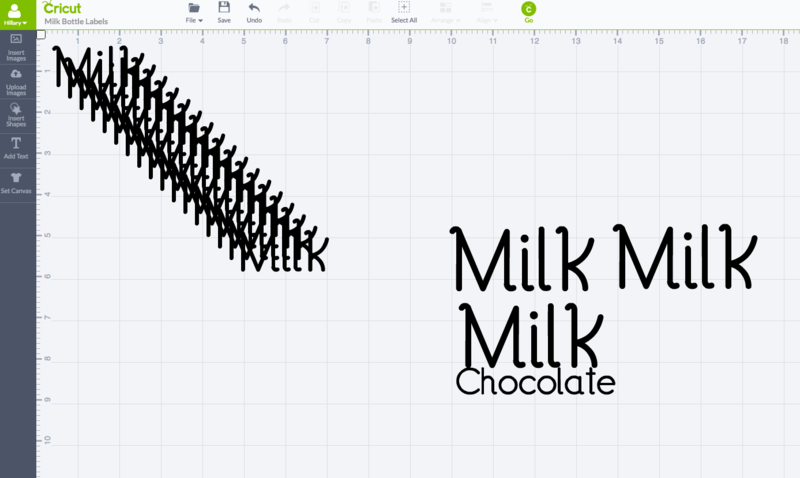 I also made some larger labels to add to my larger milk bottles. Load mat with vinyl on it and click GO. Remove the negative material and then put the transfer tape over all the words. Use your Cricut tool to press and rub the transfer tape over the letters. Cut out each word. Remove vinyl backing and place on the bottle. Rub onto the bottle and remove the transfer tape. Repeat for the large bottles too. I found all these milk bottles and the larger bottles at Target in the dollar aisle. I seriously love that aisle for party stuff!! 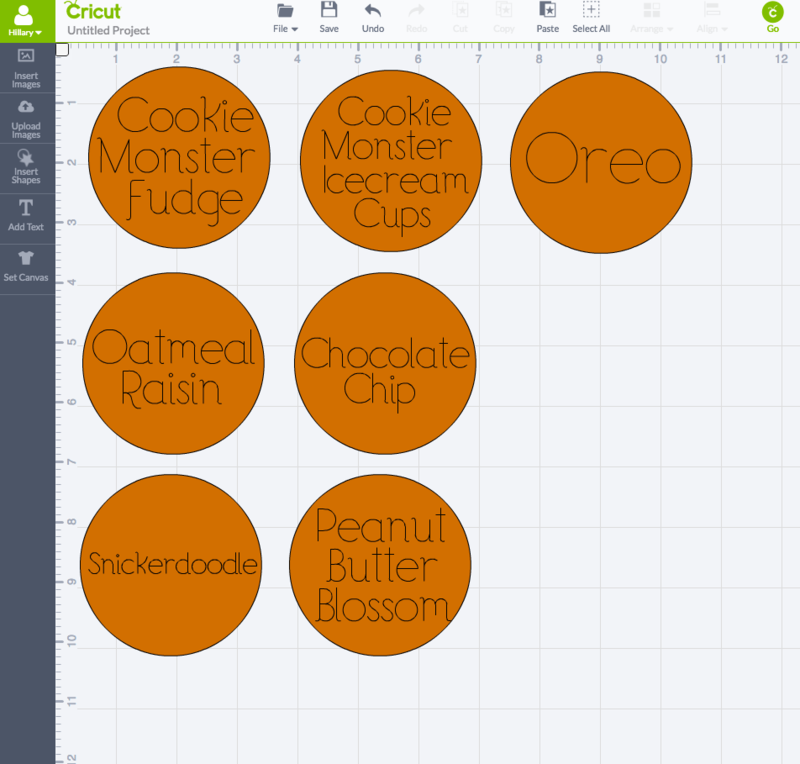 Follow the prompts to print from your printer then add to your mat and click GO and your Cricut will cut them out. 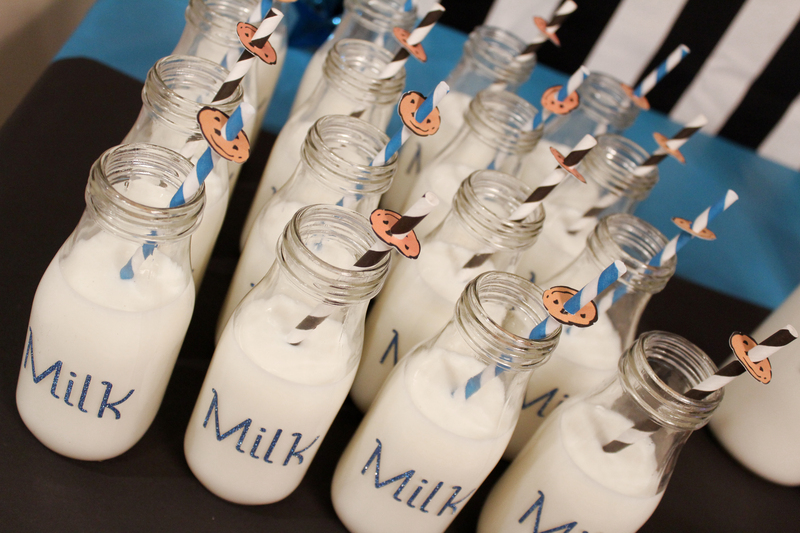 Use a hole punch and punch a hole in the middle and slide onto the straw!! 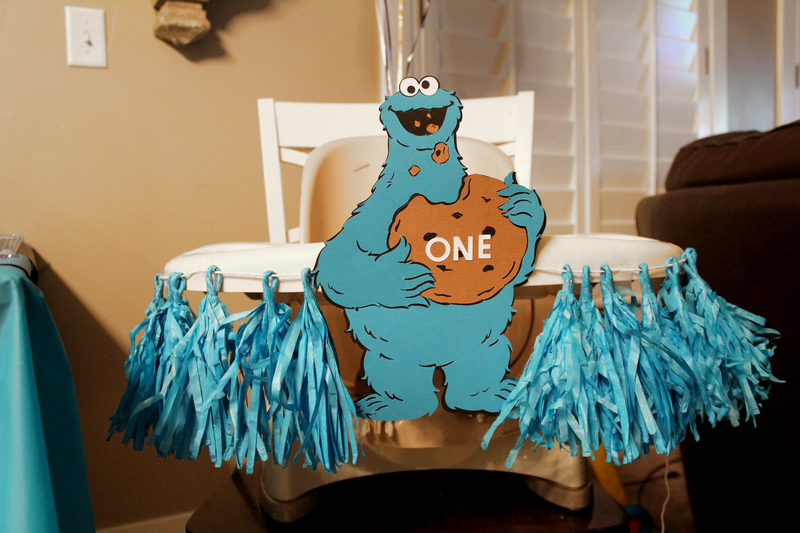 I wanted to decorate the babies chair for him to eat his cake. 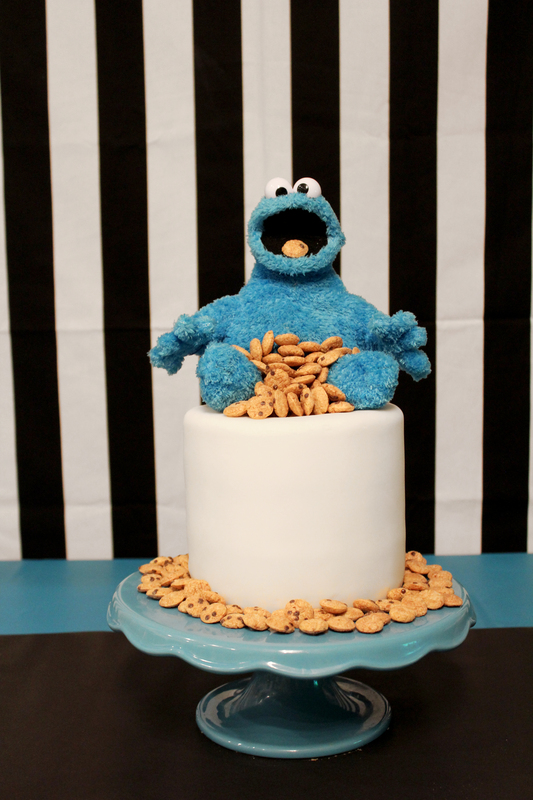 I cut out a large Cookie Monster eating a cookie.You can find it if you search Cookie Monster in Design Space. I adjusted it to be as large as it would go for a 12×12 sheet. Make sure you use a mat that is good and sticky cause this image is pretty intricate and wont work if the paper isn’t sticking really well. Follow the prompts and then use zots and a glue stick to attach all the pieces together. I also added these cute tissue paper tassles that i got at Michaels. 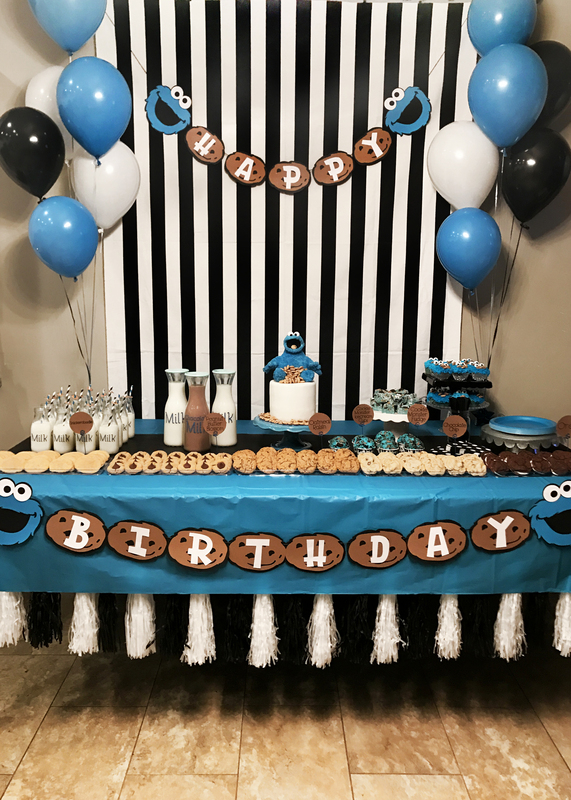 I loved how this party came together and that i could customize it so much!! I LOVE, LOVE, LOVE the Circut Explore Air 2. The possibilities are seriously endless. Here are all the images from the party all put together! These cookies were sooo delish! Here are the recipes so you can enjoy them too!! 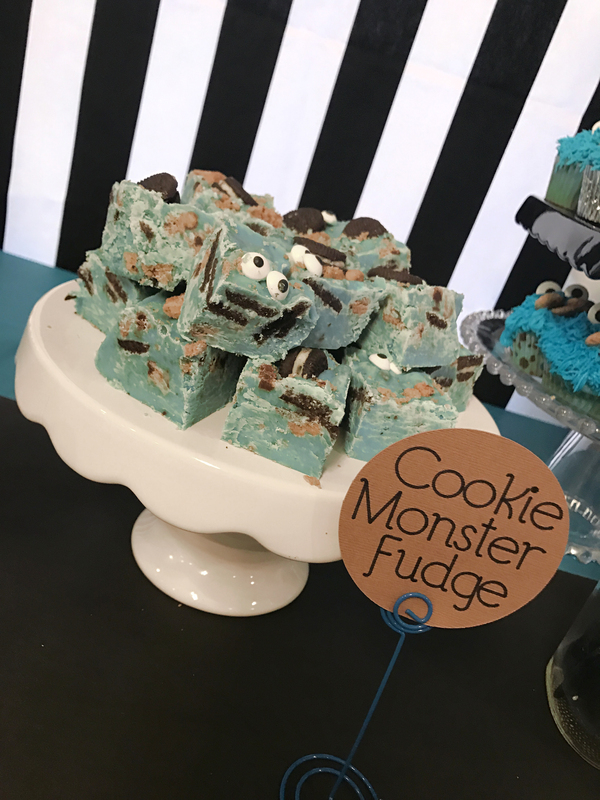 Click—> HERE to get the recipe for this cookie monster fudge!! 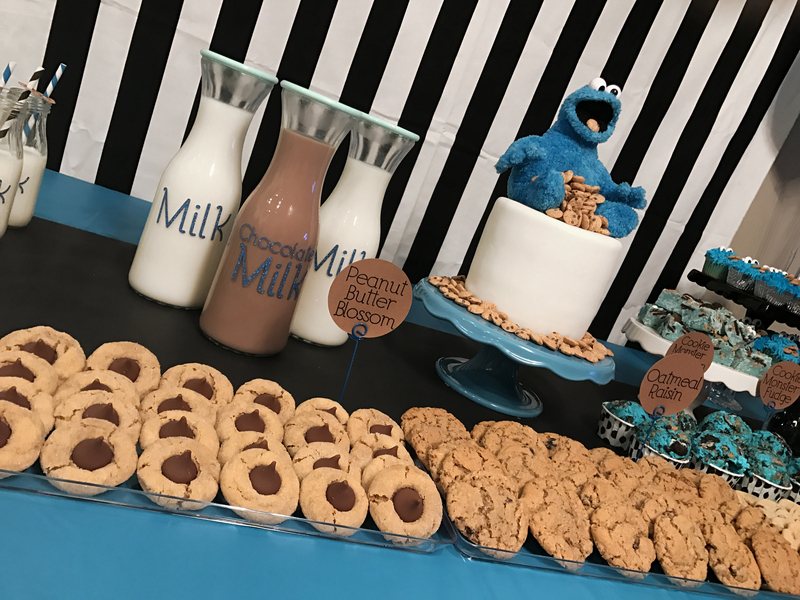 Hope these tutorials will help you create and amazing Cookie Monster, Milk and Cookie Bar for your next party!! if you have any questions or comments feel free to leave them below!! Hi! 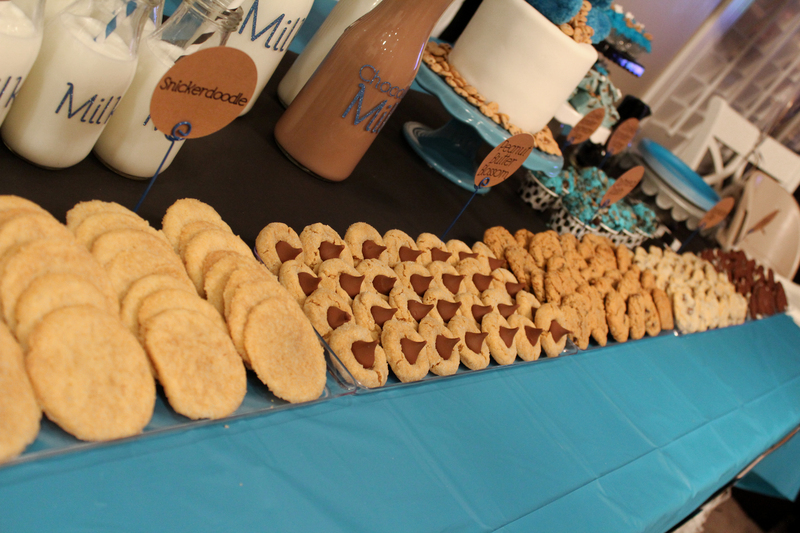 Love you dessert table. Where can I get the striped backdrop and black and white tassels? Hi there! 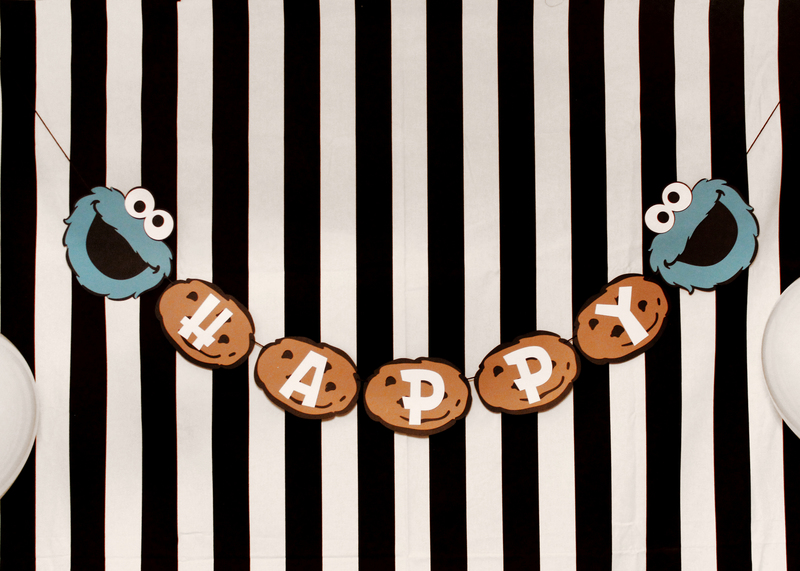 The backdrop it fabric that I got at IKEA and the black and white tassels were found at michaels arts and crafts!